RYOBI R18CK4BL-242S 4 Piece Brushless tool Starter Kit. R18PD5 18V ONE Compact Brushless Combi Drill. R18IDBL 18V ONE Brushless Impact Driver. R18CS7 18V ONE Brushless Circular Saw. R18AG7 18V ONE Brushless Angle Grinder. 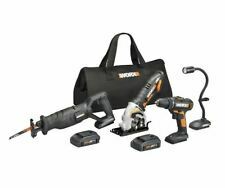 A cordless 4-piece kit designed for the carpenter, containing all of the basic cordless tools required. All contained within a high quality Makita LXT tool bag. 1 x 18V Combi Drill 62Nm. 1 x 18V Impact Driver 165Nm. R18PD5 18V ONE Compact Brushless Combi Drill. R18IDBL 18V ONE Brushless Impact Driver. R18CS7 18V ONE Brushless Circular Saw. R18AG7 18V ONE Brushless Angle Grinder. M18 1/4" Hex Compact Impact Driver. Cordless Circular Saw: Used but Not Working. (Need repairing). Blows per Minute 0-4300 bpm. Jigsaw: Used in good working order. Reciprocating Saw: Used in good working order. Height 230 mm. Length 295 mm. 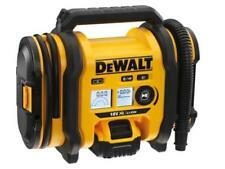 New listingDeWalt 18V Power Tool 3 Pack Set Circular saw 2 drills and a tool bag. DeWalt 18V Power Tool 3 Pack Set Circular saw 2 drills and a tool bag. . Condition is Used. Dispatched with Royal Mail 2nd Class. The batteries don't hold charge. No charger. The tool bag is old and the zip is a bit worn out. No returns. Please see my other items. Makita DSP600ZJ Makita DTD152 Makita DHP458 Makita DML186 3 x 5.0Ah BL1850 Batteries. Twin LED job light. Twin LED Job light with pre-glow and afterglow functions. Depth stopper for splinter free cutting. This Makita DLX5043PT 18v 5 Piece Brushless Combo Kit is everything you need for professional or DIY work. This comprehensive collection includes a range of 18v LXT Brushless tools with three 18v 5.0 Ah batteries and twin charger all in a convenient carry bag to easily transport from job to job. Supplied with a purpose designed heavy duty tool bag to store and protect your tools, 3 x 5.0Ah Li-Ion batteries and a Twin Port 22 minute Multi-Volt Rapid Battery Charger. Kit Contents 1x DHP484Z Brushless Combi Drill 1x DTD153Z Brushless Impact Driver 1x DHS680Z Brushless Circular Saw 1x DJV182Z Brushless Jigsaw 1x DGA504Z Brushless Grinder 1x DTM51Z Brushless Multi Tool 1x DJR188Z Brushless Recip Saw 1x DML186 Fluorescent Lamp 1x DC18RD Twin Port Charger 3x BL1850B 18v 5.0Ah . Makita DHP482 Makita DJV180 Makita DGA452 Makita built produces 50% faster grinding with an impressive 10,000 RPM. Makita DML185 Twin LED Job light with pre-glow and afterglow functions. Compact design, only 225mm overall length. Milwaukee M18 FPP4M-524B 4 Piece Kit, contains the following 1 x 18 Volt M18 FPD Fuel™ Percussion Drill is fitted with a Milwaukee® designed and built brushless POWERSTATE™ motor for up to 10x longer motor life and up to 60% more torque. Even when working continuously, the 36V MULTI VOLT tools are less likely to stop due to overheating than their 18V counterparts. The compact and lightweight MULTI VOLT battery enables a significant reduction in the overall size of the tools. 18v 3x 5Ah 4pc Kit M18FPD, M18FID, M18CCS-55, M18BJS, M12-18FC 1x Tool Bag. 3x M18B5 M18 5Ah Red Lithium-Ion Battery. M18FPD-0 18v Body Only Fuel Brushless Combi Drill Driver. M18FID-0 18v Body Only Fuel Brushless Impact Driver. DCF887 BRUSHLESS G2 MOTOR IMPACT DRIVER. DCG412 125MM ANGLE GRINDER. TOOL HOLDER TYPE sds plus. Steel cut spiral bevel gears provide highest level of durability and low vibration, increasing user productivity. Makita DML186 Flashlight Torch Makita DHP458Z Combi Drill Makita DTD152Z Impact Driver Makita DGA452Z 115mm Angle Grinder Twin LED Job light with pre-glow and afterglow functions. Twin LED job light. 3x DCB184 18v 5Ah Li-ion XR Battery. DCD996N 18v Body Only XR 3 Speed Brushless HD Combi Drill. DCF887N 18v Body Only XR Brushless 3 Speed Impact Driver. DCS391N 18v Body Only XR 165mm Circular Saw. DCS331N 18v Body Only XR Jigsaw. Makita DHP458Z Combi Drill Makita DTD152Z Impact Driver Makita DGA452Z 115mm Angle Grinder HS 1-9, I 1-56, KA27-28, KW1-17, PA20-49, PA62-77, PA60-61, PA78, PH17-26, PH-30-44, PH49-50, ZE1-3, BT1-94, IM1-9, IM99, TR21-25, Isle Of Wight. Makita 4 Piece 18V Kit DHP453 DSS611 DJV180 DTD152 Bag & Case 3 x 4Ah. Makita DHP453 Makita DSS611 Makita DJV180. Makita DTD152. Makita DTD152 Makita DJV180 3 x 4.0Ah BL1840 Batteries. Makita DSP600ZJ Makita DTD152 Makita DHP458 Makita DML186 3 x 4.0Ah BL1840 Batteries. Twin LED job light. Twin LED Job light with pre-glow and afterglow functions. Depth stopper for splinter free cutting. Makita DRT50 Makita DJV180 Makita DTD152 Makita DHP458 3 x 4.0Ah BL1840 Batteries. The large 2 finger variable speed trigger makes this jigsaw easy to operate even with gloves on. Twin LED job lights. Condition is New. R18PD5 18V ONE Compact Brushless Combi Drill. R18IDBL 18V ONE Brushless Impact Driver. R18CS7 18V ONE Brushless Circular Saw. R18AG7 18V ONE Brushless Angle Grinder. Makita DHP458Z Combi Drill Makita DSS610Z Circular Saw 1 x DHP458Z 18v ombi Drill. 1 x DSS610Z 18v Circular Saw. 1 x DTD152Z 18v Impact Driver. Makita DTD152Z Impact Driver Makita DML185 Torch. 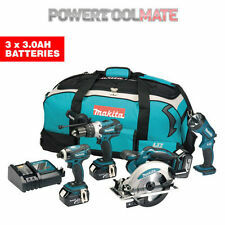 Makita 4 Piece 18V Kit DHP453 DSS611 DJV180 DTD152 Bag & Case 3 x 5Ah. Makita DJV180 Makita DSS611 Makita DTD152 Makita DHP453 3 x 5.0Ah BL1850 Batteries. Smooth and powerful cutting at the high stroke speed at 2,600 spm. Makita DHP458 Makita DTD152 Makita DJV180 Makita DSS611 3 x BL1840 4.0Ah Li-ion Batteries. HS 1-9, I 1-56, KA27-28, KW1-17, PA20-49, PA62-77, PA60-61, PA78, PH17-26, PH-30-44, PH49-50, ZE1-3, BT1-94, IM1-9, IM99, TR21-25, Isle Of Wight. Makita DHP458 Makita DTD152 Makita DJV180 Makita DTM50 The large 2 finger variable speed trigger makes this jigsaw easy to operate even with gloves on. HS 1-9, I 1-56, KA27-28, KW1-17, PA20-49, PA62-77, PA60-61, PA78, PH17-26, PH-30-44, PH49-50, ZE1-3, BT1-94, IM1-9, IM99, TR21-25, Isle Of Wight. 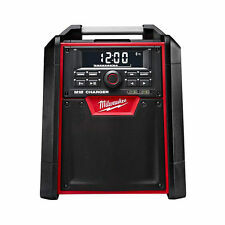 (New Milwaukee 2997-25 M18 FUEL Li-Ion 4-Tool Combo Kit. Battery System M18. 6) Communications: We try to answer all inquiries promptly. If there is a problem let us know right away. We will do our best to fix it. Makita DHP458 Makita DTD152 Makita DJV180 Makita DSS611 3 x BL1850 5.0Ah Li-ion Batteries. HS 1-9, I 1-56, KA27-28, KW1-17, PA20-49, PA62-77, PA60-61, PA78, PH17-26, PH-30-44, PH49-50, ZE1-3, BT1-94, IM1-9, IM99, TR21-25, Isle Of Wight. 10.8V Reciprocating Saw - Bare. - 10.8V Impact Driver - Bare.